Log into your account, and click Account Summary in the Account menu. 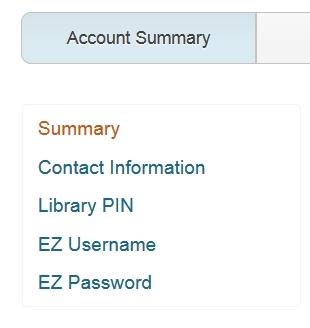 Click on the appropriate links in the Account Summary screen to update your contact information, PIN, EZ Username, or EZ Password. If you cannot access your online account, please contact us. Note: In order to access all Library services, please use four numbers for your PIN.